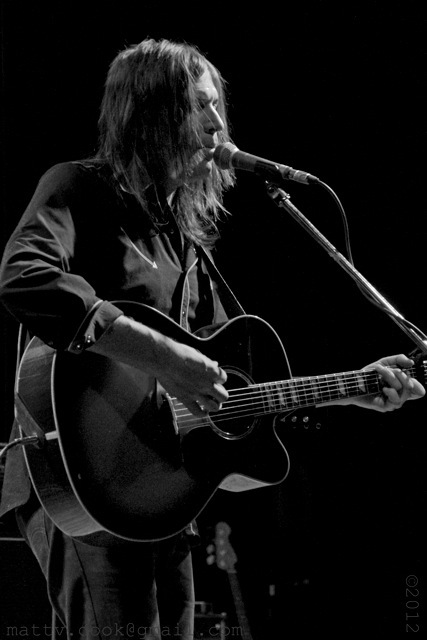 There really isn’t much to say about Lemonheads front man (and sole original member) Evan Dando that has not already been mentioned at some point in the songwriter’s 25+ year career. The word “prolific” can be associated with Dando just as much as the word “junkie,” and though you could condemn the use of the word in respect of the man’s personal life, his habits have been public fodder in his own writing for years. Songs such as “Style” (I don’t wanna get stoned / but I don’t wanna not get stoned) and “Ceiling Fan In My Spoon” are but a few in which he has made reference of his afflictions. Regardless of any negative connotations brought upon by his substance abuse or rumored diva antics, this reviewer was still filled with childlike excitement at the announcement of a 20th anniversary tour for the groundbreaking 1992 album It’s A Shame About Ray. I arrived at Lawrence’s Granada Theater shortly after the 9:00 door time to discover a sparsely filled auditorium with barely two dozen patrons littered about. Most of the crowd could be found nursing beer and having casual conversations among friends, with the occasional lone wolf standing about awkwardly or engaged in the latest time wasting application on their iPhone. Stories could be overheard from the thirty and forty-somethings in attendance of their last experience seeing or meeting Dando, each varying in context and content from nostalgic but cautious optimism, to a group regaling each other of music equipment that turned up missing after a time playing with the man himself. Local power-pop foursome The Dead Girls took the stage at 9:15 to play a thirty minute cross-section of their material to date, including a few as-yet released tunes to be expected on the next record later this year. The crowd began filling in midway through the band’s set, and anyone who was not yet aware of the opener seemed to have become a fan by the end of their slot. The band still gets occasional billing as a quartet boasting members of well-liked, albeit defunct Lawrence (via Manhattan, KS) groups Ultimate Fakebook and Podstar, though in 2012 The Dead Girls have been around as long as or longer than the aforementioned from which they came. Whereas the former acts were distinctly two-dimensional power-pop or pop-punk crossovers, they now have free reign to allow their music to grow, unashamedly glorifying the works of Big Star and Thin Lizzy in their song structures. Fred Mascherino walked into the spotlight at 10:00, slung a guitar around his shoulder and introduced himself to the crowd. He then played what seemed to be a fairly impromptu 15-minute set full of mostly solo acoustic-electric songs, save for inviting fellow Philadelphia native Chuck Treece to the stage for a short-lived rhythm section. Both Mascherino (formerly of Breaking Pangaea and Taking Back Sunday) and Treece (one-time touring drummer for Bad Brains and Urge Overkill) are currently serving as Dando’s touring band. While Mascherino played well and made idealistically folksy references to revolution (e.g. the aptly named “Revolution,” by his current band Terrible Things), the placement of his set after the opener seemed to perplex more than a few in the crowd, but he was on and off the stage in the time it takes some bands to soundcheck. Meredith Sheldon was joined by a three member back-up band shortly before 10:30 to perform thirty minutes of mellow, throwback indie-pop kindred to the era in which It’s A Shame was released, replete with occasional chunky riffs and keyboard-driven melodies. Sheldon carried an air of confidence when performing, but her audience interaction between songs revealed a slightly different stage presence. She sheepishly asked how everyone was doing at the beginning of the set, to a very disenthralled reaction; but upon playing a few songs from her recently released EP then asking the question once more, the crowd let out a series of cheers. At the close of the set, the band left Sheldon on stage to conduct an intriguing acoustic cover of Big Star’s “Kangaroo,” before slinking away into the shadows. 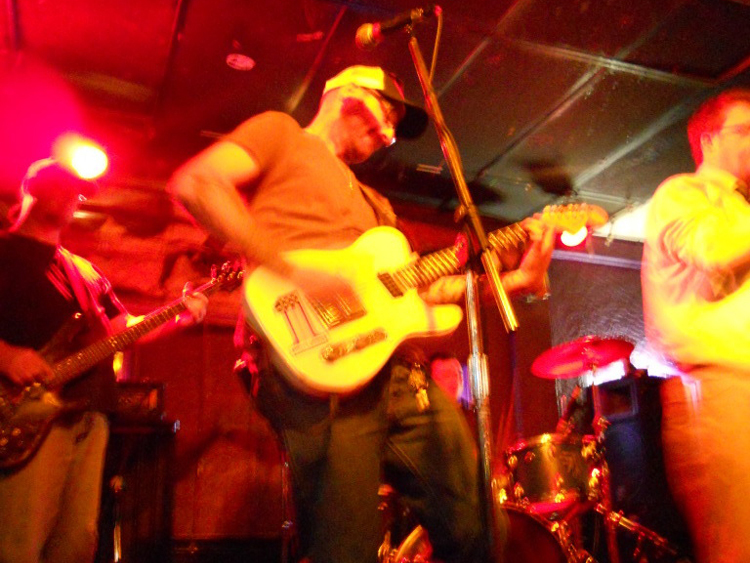 Nearly 45 minutes passed from the time Sheldon’s equipment was torn down to the headlining act hitting the first note. In that time, more than one person in front of the stage asked aloud if Dando had canceled at the last minute. Just as the crowd reached the pinnacle in its restlessness, Dando came stumbling out to the microphone, dirty blonde hair hanging in front of his gaunt face, appearing to have just been woken up by the stage crew. 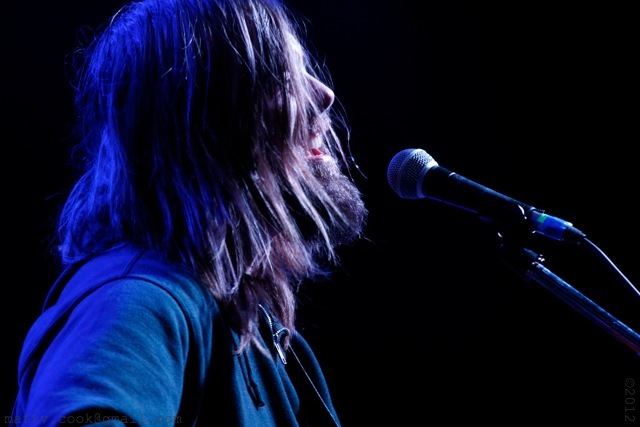 Guitar in hand, he then put his mouth so close to the microphone that his lip movements shifted it on the stand, mumbled something in typical incoherent fashion, and began a set of six acoustic songs. This included, in no great detail, a rendition of Townes Van Zandt’s “Waiting Around to Die,” that appeared on the 2009 covers album Varshons. To be perfectly honest, much of the first few songs could barely be understood due to his proximity with the microphone and his annunciation (or lack thereof). Mascherino and Treece walked out once the acoustic set was done and immediately launched into the opening notes of “Rockin Stroll,” the kickoff song from the album whose anniversary everyone was there to celebrate. It’s A Shame, in its proper form, clocks in at just under 30 minutes, and the trio wasted no time knocking out one after another until the album was played front to back. 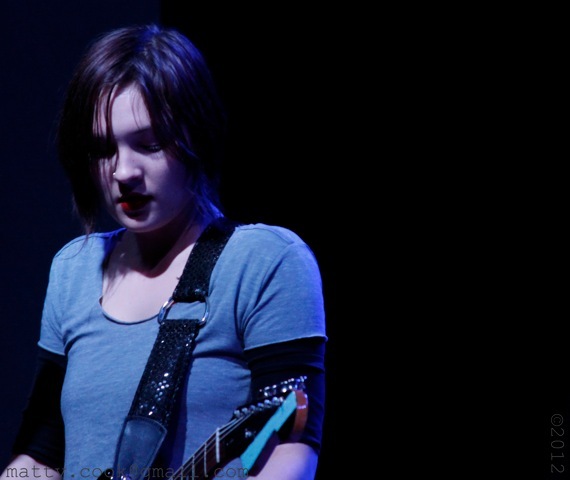 Highlights included, among others, the title track and the crowd pleaser “Alison’s Starting to Happen.” The other crowd favorite from Ray, “Bit Part,” was unfortunately not only played in the absence of Juliana Hatfield, but without the addition of female vocals at all. On the topic of being absent, Dando frequently looked as though he had no idea what he was doing or where he was, his eyes occasionally drifting up toward the lights and rolling into the back of his head as he fought to remember the chords (or words) to the song he was playing. Upon the album being performed with a noticeable lack of the “Mrs. Robinson” cover present on the re-issue, the set went back and forth between acoustic and electric, with a few songs even appearing in a more or less A Capella style by Dando between switching or tuning guitars. 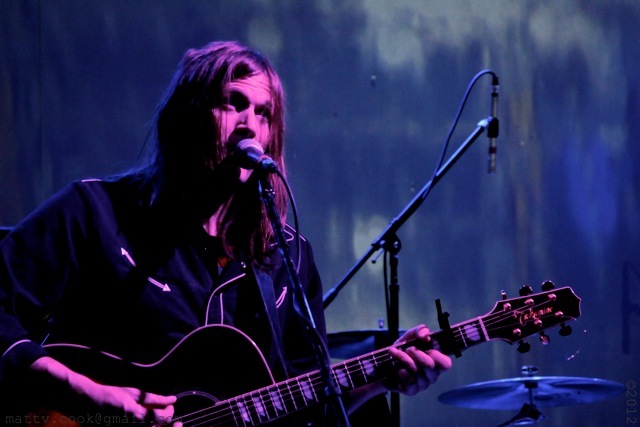 The audience heard electric versions of “Style,” from the Ray follow-up album Come On Feel; “No Backbone,” from the self-titled 2006 album; and “All My Life” on acoustic guitar, in the same broken-spirited refrain with which it appeared on Dando’s 2003 solo album Baby I’m Bored. After giving the audience a set totaling over 100 minutes of live music, the only people left to be upset are the ones who wanted to hear “Into Your Arms,” or had the audacity to hope for some of the songs from the Taang! Records years before Ben Deily left the band. 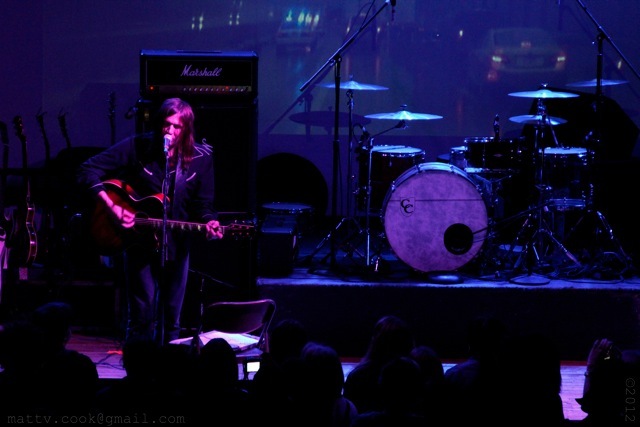 I would be in both of those camps, but I left satisfied that even given all of his apparent quirks, antics, and habits, Evan Dando can still put on a hell of a performance. This review originally appeared on Lost in Reviews. All photos taken by the talented Matt Cook. 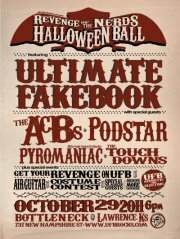 Ultimate Fakebook will be playing their only show (they really can’t be called reunions at this point) of the year at The Bottleneck on October 29th, and various parties involved have been working hard to make sure it is a must-see event. The stars aligned, and both Podstar and The Touchdowns will be playing long-awaited reunions, The ACB’s being the only currently active band on the bill. That is, unless you count the tribute band Pyromaniac. For the uninformed, Podstar was a Lawrence power-punk sensation earlier last decade, and the quartet’s disbanding more or less coincided with Fakebook deciding to call it quits, and thus The Dead Girls was formed out of the ashes of both. Podstar’s Cameron Hawk (bass in Podstar, guitar in TDG), JoJo Longbottom (guitar) and UFB’s Nick Colby (bass) and Eric Melin (drums) came together and are still very active to this day. 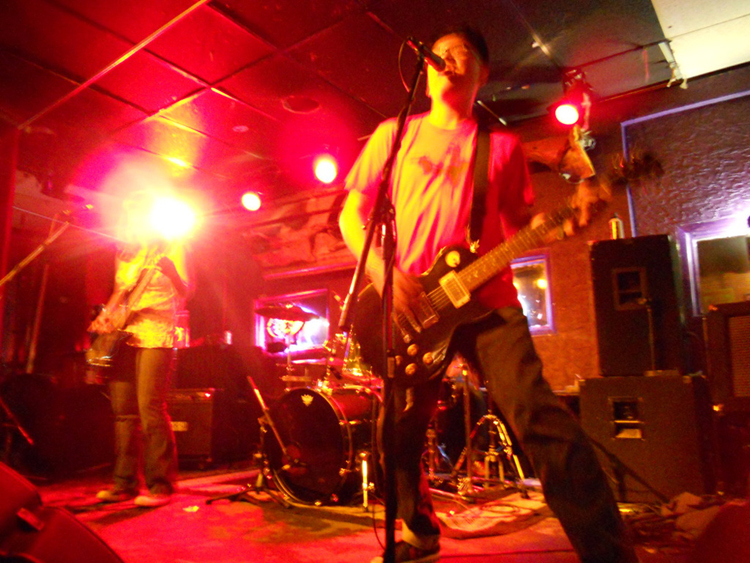 The Touchdowns formed in Iola, KS, and were close friends with Podstar, to the point that drummer Ryan Magnuson moved behind the kit at the Podstar camp, replacing JP Redmon prior to the release of the band’s sophomore and final album, 2002’s Lovely 32. 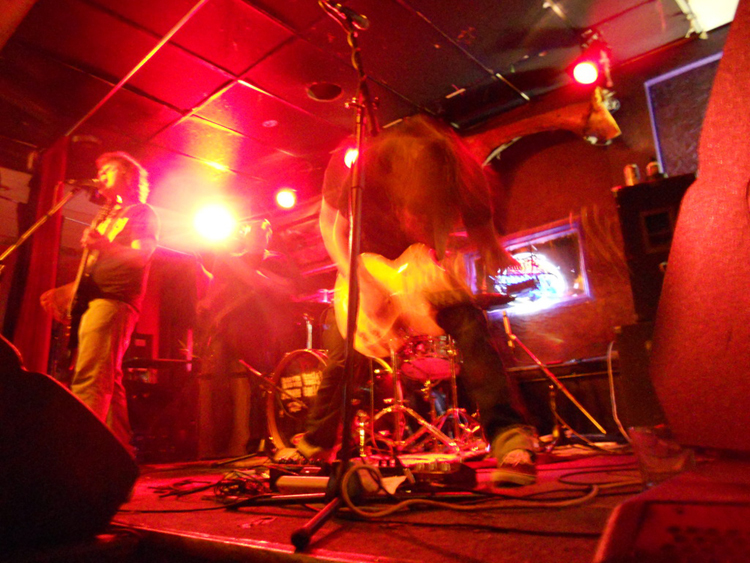 The ACB’s released Stona Rosa, one of the best local albums of the entire year in early 2011, and have been playing local shows and touring when possible. The band recorded a Daytrotter session earlier in the summer that is expected to go live any day now. Pyromaniac is from Manhattan, KS, and will be playing a raucous set paying homage to what is sure to be some of the more scandalous and drug-fueled hair metal that was popular in the ’80s. This is an ’80s themed evening, after all. This is all just the beginning of what has been dubbed the Revenge of the Nerds Halloween Ball, sponsored in part by KJHK. Other things to be expected include air guitar performances, UFB karaoke and an acoustic set, a costume contest and some yet to be announced special guests. Get more info here. The doors open at 5PM, and tickets are only $13, so make sure you pace yourself with the drinking. I know I won’t.